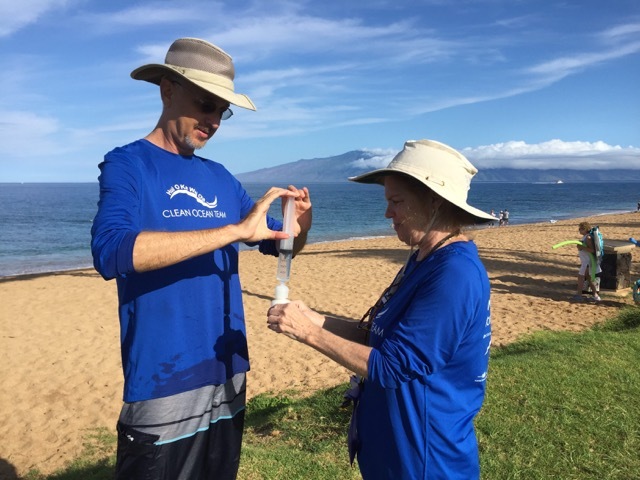 Citizen-science volunteers Ty Freiberg (left) and Marie Schroeder (right) collect water quality samples on Maui as part of the island’s newly launched Hui O Ka Wai Ola water quality monitoring program. 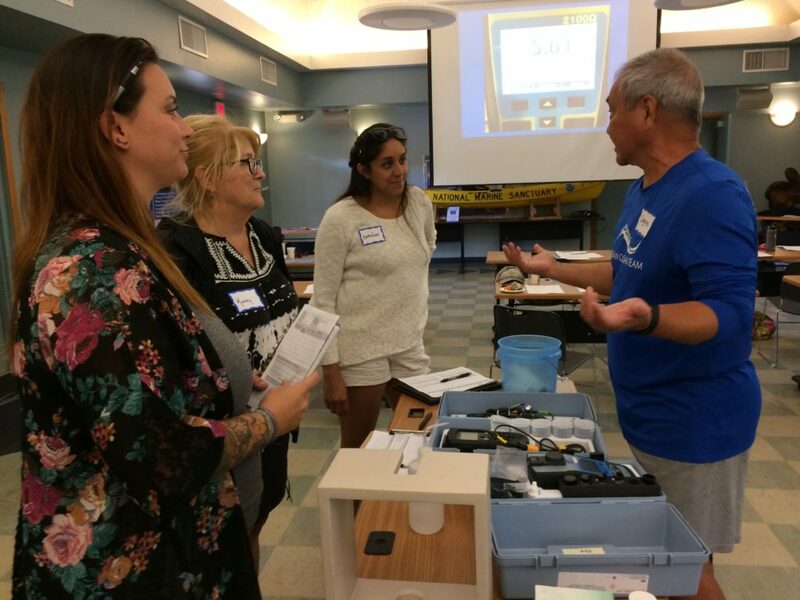 Hui O Ka Wai Ola, a citizen science, coastal water quality monitoring program will host a community meeting on Tuesday, Jan. 17, 2017 in West Maui. The meeting will address concerns about brown water and what to do about it. 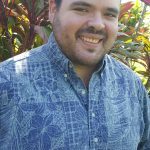 The group launched last year under a joint effort from the Maui Nui Marine Resource Council, The Nature Conservancy, the West Maui Ridge to Reef Initiative and University of Hawaiʻi. Since forming, volunteers have been working to gather data from near shore waters. 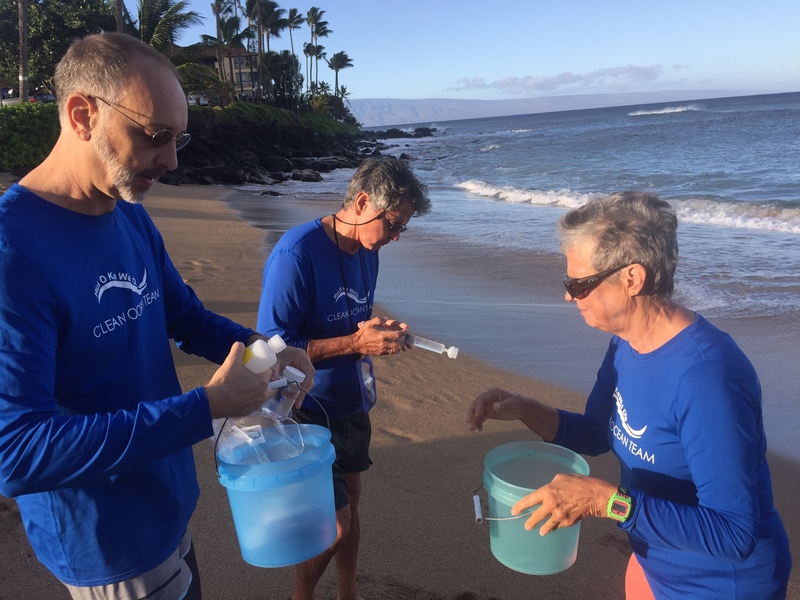 Members of the group will share results from water samples taken in West Maui over the last six months, and discuss why it’s important, what’s next, and how you can help become a member of the group’s Clean Ocean Team. Hui O Ka Wai Ola volunteers sample water at Pōhaku Park. The group is currently seeking volunteers to help with data entry, outreach and education with schools, bookkeeping, donations, and sampling. how your donations can help. Light pupus will be provided. The meeting will take place from 5:30 to 7:30 p.m. at the Lahainaluna High School Cafeteria.